Back to Basics Berry Blush is a modern craft collection by Dovecraft, featuring a selection of soft toned designs. The collection offers a hint of serenity and sophistication that is the perfect addition to any craft box. You’ll feel ready to craft for any upcoming occasion! And that’s not all, alongside this collection we also have the Back to Basics Blue Skies selection filled with striking, blue tones. The paper collection has a variety of patterns including polka dots, stripes and contemporary repeat prints in a range of classic navy and royal blues. With every craft, you need coordinating embellishments to finish! Ranging from fun accordion stickers to stylish ribbon, you will be able to add an element of class to all of your projects. 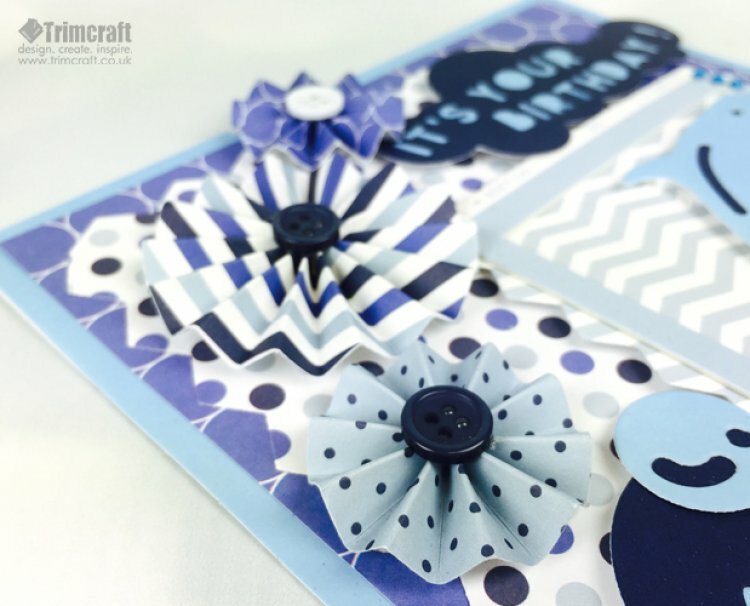 These must have collections are so varied in design; you will find endless opportunities to use the papers and embellishments for your new crafty creations, from card making to scrapbooking!